Dr. Ravi Bhushan is working as an Associate Professor of English in Bhagat Phool Singh Mahila Vishwavidayalaya, Khanpur Kalan (Sonipat), Haryana. He is holding additional charge of the Department of Foreign Languages, Centre for Indic Asian Studies, Language Laboratory and Public Relations Office of the University. Dr Bhushan acquired his Masters degree in English from the University of Madras and PhD in English from Chhatrapati Sahuji Maharaj Kanpur University. He has also acquired Post Graduate Certificate Course in Teaching of English (PGCTE) from the English and Foreign Languages University, Hyderabad, India. Dr Bhushan has presented 52 Research Papers at National and International Conferences and has published 40 papers and edited 06 books. He has completed the UGC sponsored Major Research Project on ‘Status of ELT at Primary, Secondary and Tertiary Level in his Home State of Haryana’. 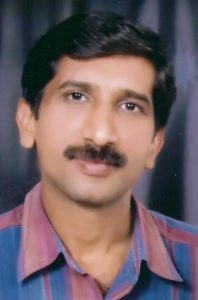 Dr Bhushan’s areas of interest are Oral Literature, ELT, Cognitive Semantics and Communication Theories. He is a lifetime member of FSLE-India, an International Organization working in the fild of Ecocriticism, and also one of its ECMs for Haryana Region.